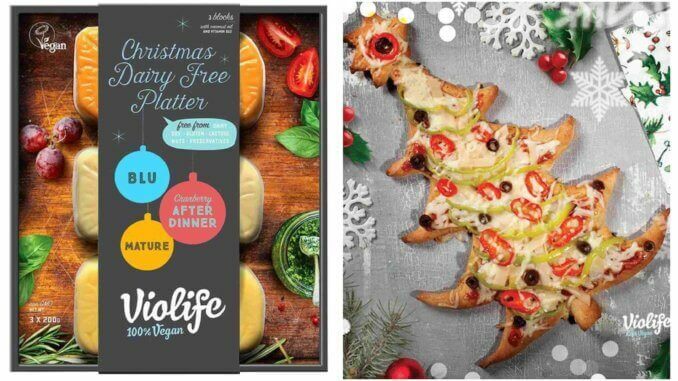 Violife, the much-loved vegan cheese brand based in Greece, has introduced a cheese board for the Christmas period. The platter contains cheeses in three flavours, Blu, Mature, and Cranberry, perfect for the festive season. Violife has been dedicated to making amazing tasting, 100% vegan non-dairy, non GMO foods since the 90’s and are a favourite brand with vegans around the world. They have a vast range of dairy-free products including slices, mozzarellas, cheddars, and their very popular parmesans. All of their cheeses are free from; lactose, gluten, nuts, soy, preservatives and cholesterol. The cheese platter is now available in Sainsbury’s stores and online at Ocado.